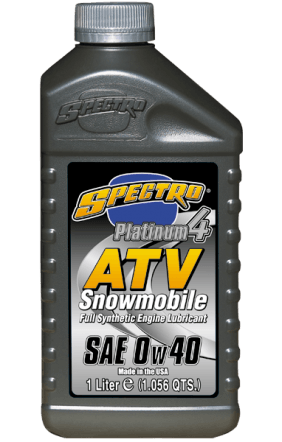 Platinum 4 ATV/Snowmobile combines highest quality PAO and diester base stocks with breakthrough additive technology to provide significant reductions in drag and friction loss, thus extending reliability and engine component life. Exceeds all known manufacturer’s warranty requirements, and meets A.P.I. SH/SG/JASO MA.